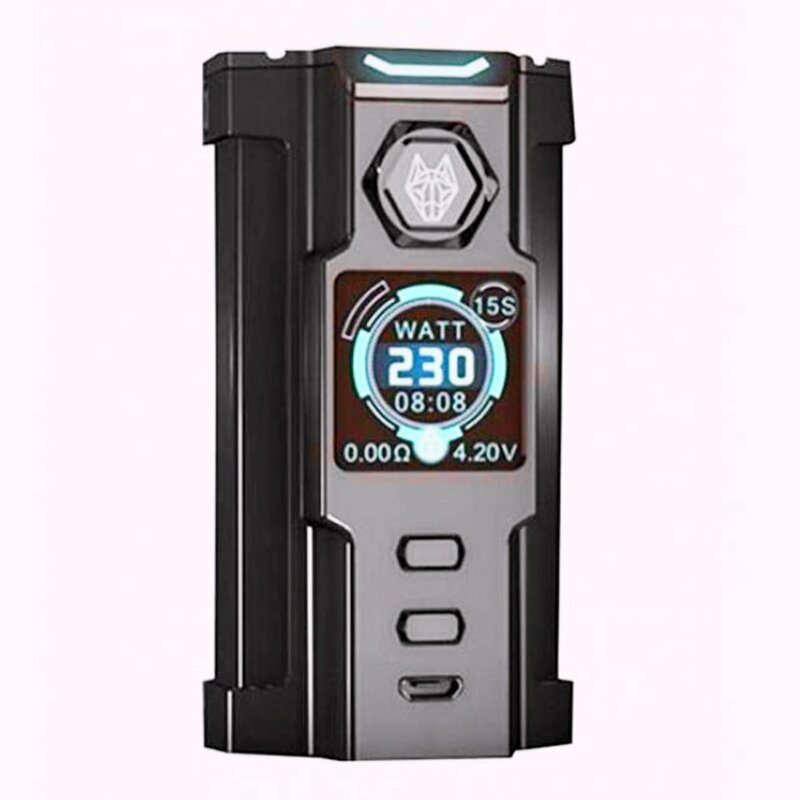 The SnowWolf VFENG 230W TC Box Mod is set to enter the futuristic, high-performance mods segment in spectacular fashion, deploying a futuristic structural chassis with light-up LED functionalities. The SnowWolf VFENG features a high-quality Zinc Alloy and Stainless Steel frame with futuristic lines and robotic design elements to create a visually stunning device. The epicenter of VFENG lies within the 1.3 Inch OLED Screen, providing intuitive user-friendly UI with intuitive display along with multiple arrangement for a dynamic display experience. The LED light-up feature located on the back of the device within the SnowWolf logo cutout is fully customizable, offering a spectrum of vibrant colors. Powered by the SnowWolf series latest chipset, the VFENG is capable of 10 to 230W of output, multitudes of settings, and comprehensive temperature control suite. Under temperature control setting, it has Temperature Coefficient of Resistance (TCR) adjustment, a proprietary technology to adjust resistance of a wide range of heating elements to different ranges. Driving the entire system are two high-amperage 18650 batteries (sold separately), accessed via hinged battery door cover. A sensational presentation of one of the most aggressive and futuristic structure in the industry with sophisticated output technology, the SnowWolf VFENG 230W TC Box Mod is a sought-after performance device.